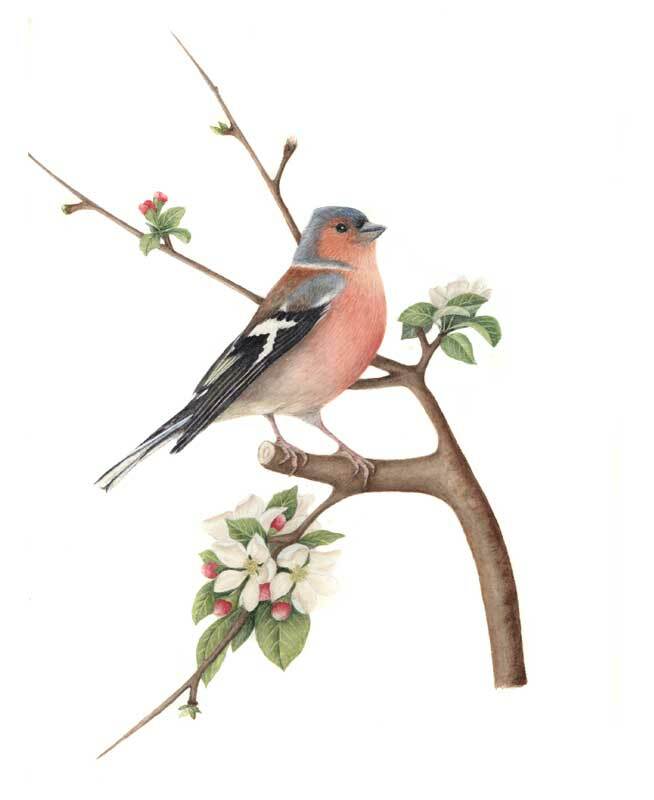 View cart “Chaffinch original watercolour” has been added to your cart. 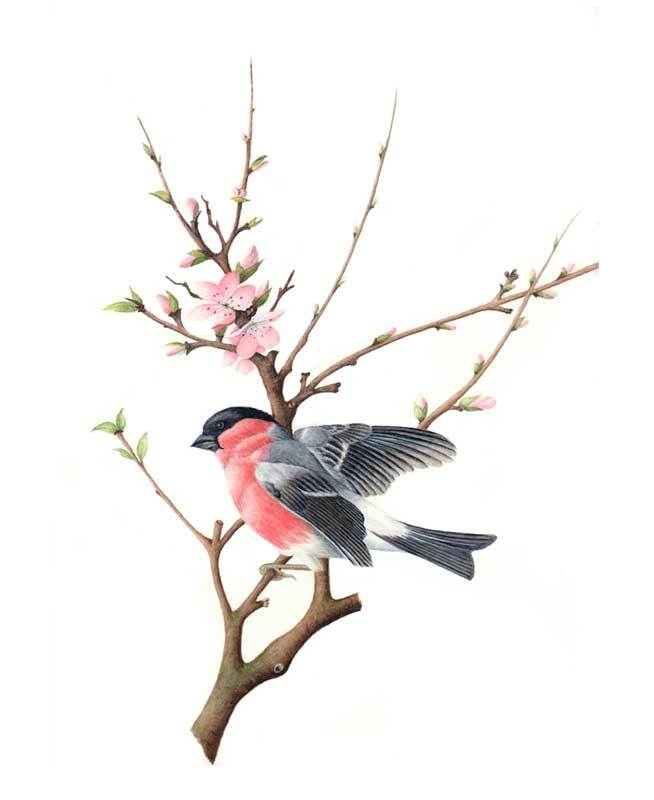 This Bullfinch painting illustrates a secretive bird despite its beautiful colouring, it is not often seen. The male has a black cap, dove-grey back, a bold white rump and black tail and wings which are marked with a bold white bar. The under parts are a deep pink. The female is duller than the male. It often uses its strong heavy bill, conical in shape to strip fruit trees of their young buds and can cause serious damage in orchards but also eats seeds and fruit. This is an original watercolour Bullfinch painting on Fabriano artistico paper. It is window mounted on ivory, size 30 x 40 cms when mounted. Digital prints are available upon request. Please contact me by email from the contact form. By ordering from this website you adhere to the terms and conditions.